Lost and Found: The Kallaste System is Here! Last month we released MME. 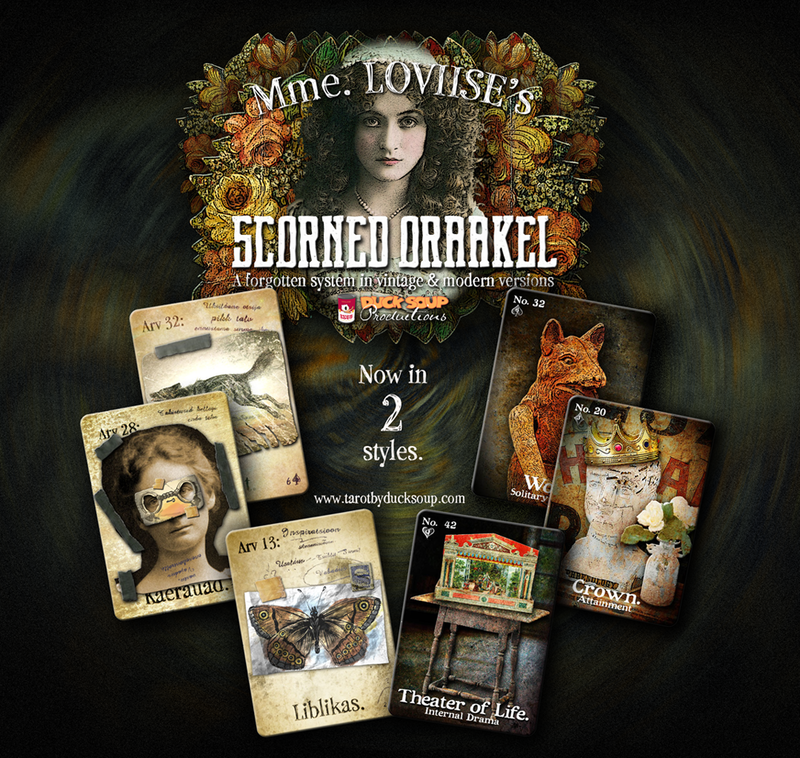 LOVIISE'S SCORNED ORACLE in a beautiful "Vintage" edition in the style of an aged handmade deck. 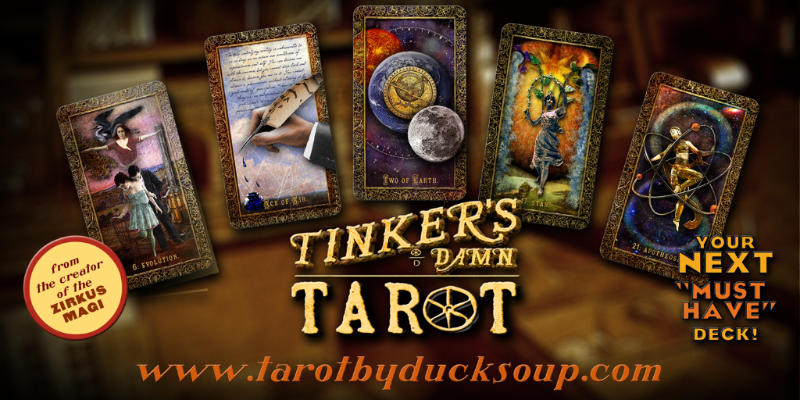 Today we release the "Modern" version, crafted from vintage and contemporary photographs, providing a whole new take on this heretofore "forgotten" oracle system! Recently, the manufacture cost on many of my tarot and oracle decks shot up by a double-digit amount. This has forced me to raise my prices on those decks. I'm as upset about this as anyone. Please remember that when you buy from independent creators, you aren't getting a cheap a mass-produced product. As a small "thank you" for your continued custom, I'm offering a free e-book of your choice with every deck purchase over $35. Select your e-book, then enter the code 8ZH2LRDXABVU and the book price will be subtracted from your total.